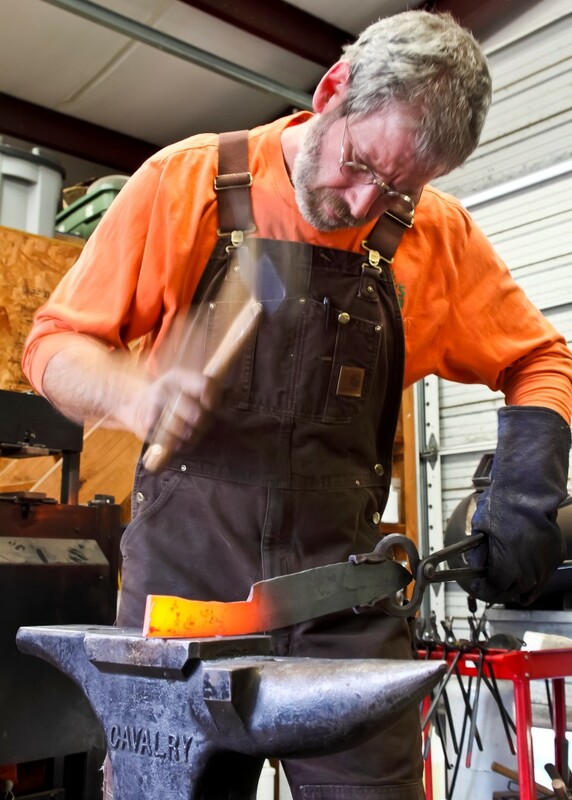 The Virginia Institute of Blacksmithing is proud to host the American Bladesmith Society’s Introduction to Bladesmithing course. This is two week, comprehensive course is a standardized curriculum that is suitable for the novice to the more experienced bladesmith. Successful completion of this course will shorten the time required for a student bladesmith to test for Journeyman or Master status. See ABS for more details. If you are interested in becoming an Apprentice or Journeyman bladesmith, see the American Bladesmith Society‘s webpage for membership information. Class will be Jan 6-17, 2020 from 8am – 5pm, M-Th, with a 1-hour break for lunch, and Friday 8am-12pm. The shop will not be available to bladesmithing students on the weekend nor after hours. Tuition is inclusive of instruction, use of the shop & tools, and materials. There is no additional fee payable to VIB. Lodging and food are each student’s individual responsibility. accomplished bladesmith and owner of Guinea Hog Forge. Space is limited. Sign up soon!